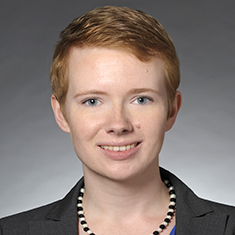 Mary E. Harmon is an associate in the Transactional Tax Planning practice. Prior to joining Katten, she worked for a small firm in the Chicago area, where she focused her practice on tax planning for pass-through entities such as partnerships and S corporations. While in law school, Mary worked as a student attorney with the University of Michigan Low Income Taxpayer Clinic, where she represented low income taxpayers before the IRS on liability and collection matters and assisted transactional clinics at Michigan Law with tax planning matters. Mary also served as a notes editor for the Michigan Telecommunications and Technology Law Review. Shown below is a selection of Mary’s engagements. New Proposed Rules Limit the Negative Tax Consequences of Section 956 "Deemed Dividends"